Very tempting. But eGlobal - hmmmm. 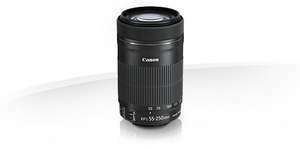 Got this...this is a very good price for this lens which gets good reviews. I can't comment myself as I bought this and the 18-55 to replace my broken 18-200...either all the reviews are wrong or my 30D didn't quite survive the drop as well as thought it had. I know where my money is. Thanks for listening...I feel better now. Here is is at £129. Still a grey import, but from the more reliable UK company HDCameras, and they've done the importing for you. I've gone for this, still a great deal, but a lot less risk. Thanks for that info. Was just pondering ordering the Gopro Hero 6 at £357.99 from them. Don't think i will now.